Find out why a massage therapist’s self-confidence forms the cornerstone of his or her practice. In massage therapy school, the path towards being a successful practitioner is clearly outlined in class. However, regardless of how intuitive and skilled a therapist is, some deep emotional beliefs are capable of interfering with professional success. The one ingredient towards success that never quite gets addressed in school is confidence. With a confident attitude, the community in which you live would be clamoring to have you lay hands on them. Without confidence, even those needing your services most will not have the faith to try a discounted session with you. Self-worth determined by therapeutic outcome – For certain individuals, helping people feel good is a validation of his or her worth. Unfortunately, if a massage session does not bring about the healing results hoped for, the therapist who is fueled by this kind of validation could end up feeling worthless. This personality characteristic is in stark contrast to many people in sales and marketing who are confident in their ability to sell a product, service or idea – regardless of its actual value. Healing beliefs – Another reason a therapist might seem to lack confidence is because of his or her beliefs on healing. In recognizing that each person has ultimate control over his or her own health, a therapist can feel tentative declaring to a client that massage therapy can impart a substantial healing influence on the body. Unfortunately, in the awareness to not usurp a client’s power over his or her own body, a therapist with this well-meaning attitude can portray a lack of self-confidence. Inexperience – A relatively new practitioner may not have logged in enough hours, remember details about certain conditions, been exposed to many different types of clients or have enough diversification to feel confident in his or her skills. Besides new practitioners, feeling inexperienced can also surface after a return to a massage therapy career following a substantial professional hiatus. … you feel worthless when a client doesn’t improve, choose to feel good about the work you are doing – and feel confident that you are providing a valued service. Remember that many aspects of health contribute to a desired outcome – and some of those aspects may be out of your control. Examine why you believe your worth is dependent on others’ validation of you. … you believe that you are not good at marketing yourself because you were taught not to toot your own horn – make a conscious decision to overcome that belief. Sharing your strengths portrays confidence in your abilities; it doesn’t make you a showboat. … you notice that you are devaluing your work by telling clients that their healing is only up to them, purposefully amend what you say. Instead, share the benefits of your style of massage with the client and teach the person that merging healthy lifestyle choices and a positive attitude with your skilled therapy has a combined powerful impact on his or her health issue. … you feel like you are forgetting details about human anatomy and trigger point locations, take some time to brush up. 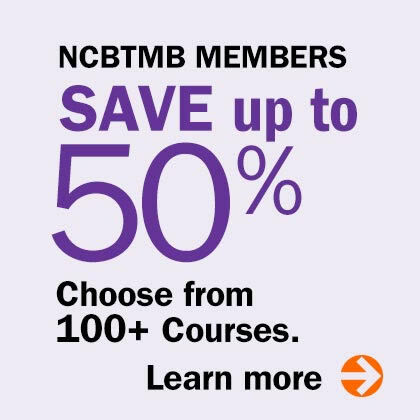 Enroll in a continuing education course, review your notes or find another therapist to exchange practice massages with. Henry Ford said, “If you think you can or think you cannot, in either case you are correct.” Massage therapists must believe in their own abilities as both a therapist and as an independent businessperson to be successful. Armed with confidence, massage therapists will attract more new clients than they have time for – and will help more people than they ever thought possible. 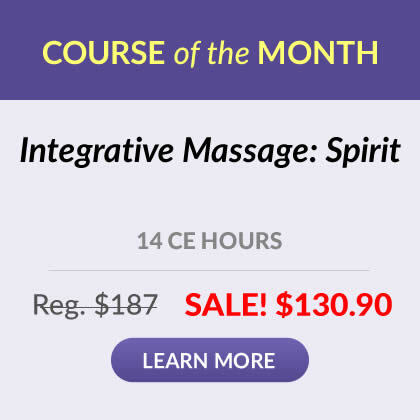 http://stayingintouch.net/cultivate-confidence/, Massage Therapists – Cultivate Confidence, Retrieved August 5, 2012, Staying in Touch Massage Newsletters, 2012.
http://www.massagemag.com/News/massage-news.php?id=11522&catid=5&title=Continuing%20Education%20Instills%20Client%20Confidence, Continuing Education Instills Client Confidence, Brandi Schlossberg, Retrieved August 5, 2012, Massage Magazine, 2012.
http://massagemag.com/massage-blog/growing-inside-out/2010/02/04/where-does-confidence-come-from/, Growing from the Inside Out – Where Does Confidence Come From?, Woody Haiken, Retrieved August 5, 2012, MassageMag.com, 2012.